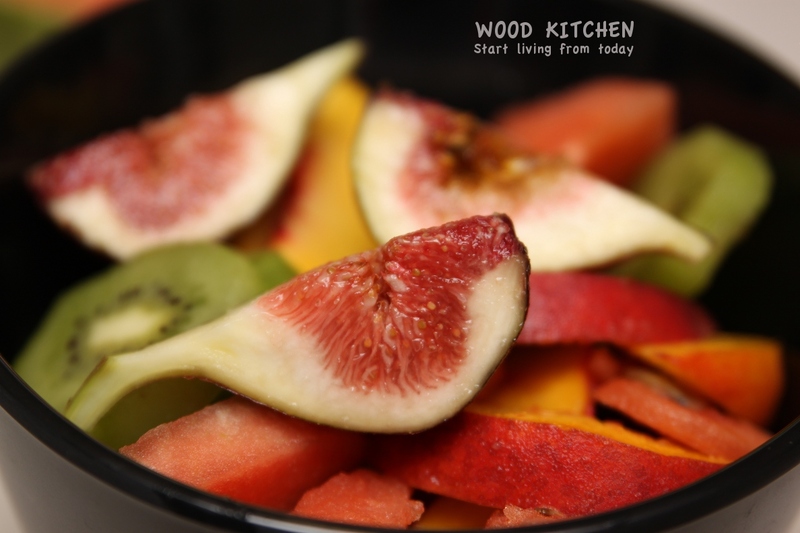 Cut figs into quarters, slice kiwi fruit, yellow peach and watermelon and toss them together. In a small, mix juice of half lime and honey together. Pour the dressing all over the salad. Sounds delicious, those figs look gorgeous! This salad is perfection! I always think of fruit salads as a summer dish, yet you’ve managed to open my eyes to the possibilities to a delicious and healthy winter dish too…THANK YOU! It is gorgeous with all of the beautiful colors. Thanks for bringing this salad over for the FF Part 2 celebration…I imagine it will be enjoyed with gusto! I am in Australia. It is summer here and that is why I got to have those ingredients to make it. Happy FF part 2! And thanks to your summer, we get many of those great ingredients imported here in the states. I will be making a variation of my own…but I’ll definitely include the figs! Beautiful fresh salad. I love figs, but we can never get them fresh. They are very rare in here as well. But we still get them occasionally. A very gorgeous, simple and refreshing fruit salad! Thanks for sharing this with us! We have a fig tree so this recipe is perfect! I never know what to do with them. I like how simple your dressing is, but I bet it tastes wonderful and lets the fruit really shine.